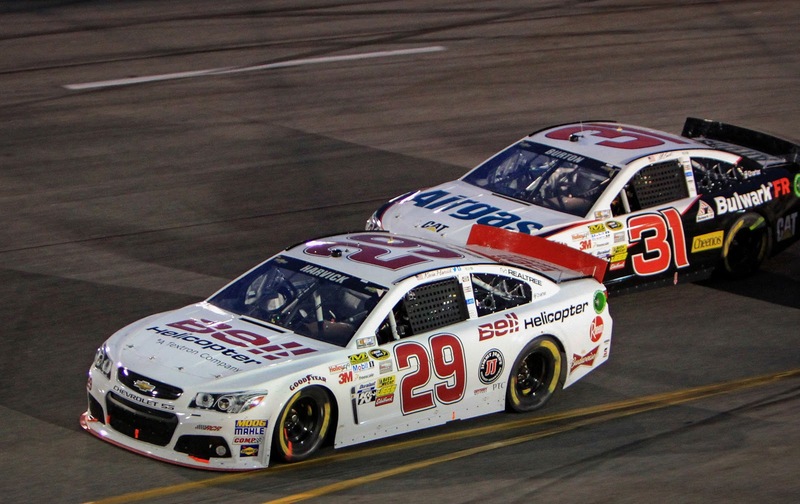 Penalties have been levied to two NASCAR Nationwide Series teams as a result of their involvement in separate post-race incidents following last Friday’s race at Richmond International Raceway. Thomas Costello and Michael Scearce, both crew members for the No. 2 team, have each been fined $15,000 and suspended from NASCAR until the completion of the next four NASCAR Nationwide Series Championship events. They have also been placed on NASCAR probation until Dec. 31. Both Costello and Scearce were found to be in violation of Section 12-1 (Actions detrimental to stock car racing. Involved in an altercation with another competitor after the race had concluded). Drivers Nelson Piquet Jr. (No. 30 car) and Brian Scott (No. 2 car) have been placed on NASCAR probation until June 26 for violating Section 12-1 and their involvement in an on-track altercation with their two cars after the race had concluded. Crew chiefs Chris Carrier (No. 30 car) and Phil Gould (No. 2 car) have likewise been placed on NASCAR probation until June 26 as a result of the on-track incident between their two drivers. 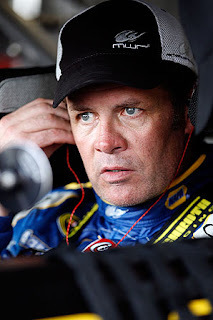 Michael Waltrip returns to the driver’s seat of the No. 55 Aaron’s Dream Machine Toyota at Talladega Superspeedway Sunday in the Aaron’s 499 NASCAR Sprint Cup Series race. The two-time Daytona 500 champion’s car will carry a special paint scheme honoring the 2012 University of Alabama’s BCS National Championship football team. Waltrip will sport an Alabama firesuit and a specially painted helmet similar to the school’s football helmet. Waltrip, winner of the Talladega fall race in 2003, nearly won the October race before a last lap wreck. “Every time I go to Talladega, I have a lot of confidence because of all the success I have had there before. I have been able to win there and I came pretty close to winning there last year. It’s awesome going to a track that you know you have a chance to win. For me, this weekend, it’s all about putting that No. 55 Aaron’s/Alabama National Championship Toyota into Victory Lane. After a career-best three consecutive Top-10 finishes, Aric Almirola and the Richard Petty Motorsports No. 43 team have suddenly emerged as one of the most successful teams in the NASCAR Sprint Cup Series. This weekend, they hope to extend their streak on the high banks of Talladega Superspeedway, the first of two races this season that Almirola will carry Gwaltney sponsorship. Almirola will make his seventh career start at Talladega, after posting his best Sprint Cup superspeedway finish of 12th during the spring race there last season. 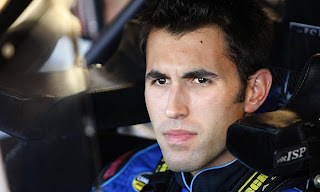 At the 2.66-mile track, Almirola posted two runner-up finishes in the NASCAR Camping World Truck series in 2009 and 2010, along with a ninth-place finish in the Nationwide series in 2011. "Talladega is a bit of a crapshoot,” said Almirola this week. “You go in knowing you have a one in 43 chance of winning the race, but you also have a one in 43 chance of ending up on your roof and done for the day. Roush Yates has built a great engine package for this race and (crew chief) Todd Parrott and the guys worked on some aero with the chassis since Daytona, too. I feel like we will have good speed this weekend. "We have some really good momentum now,” he said. “I think last week at Richmond proved how good our team is. We took an okay car, worked on it all race, and by the end we had a Top-10 finish. We're right in the thick of it for a Chase position. Some think it's still early for that, but every race is important. Right now, we're taking advantage of all of them." Parrott, meanwhile, said he hopes to use lessons learned in the season-opener at Daytona to contend at Talladega this weekend. "We weren't too happy with our car in Daytona, so we came back and built a new chassis,” he said. “I am very proud of the season we have put together so far. If we keep putting ourselves in position for Top-10s and keep improving, we'll start posting Top-5s andbe in contention to win each week. That's our goal. “Talladega is difficult because you really don't know what you are going to get until the last few laps. We just have to give Aric a fast car and try to be in the right place at the right time at the end." Turner Scott Motorsports announced today that Danica Patrick will return to pilot their fourth entry in the NASCAR Nationwide Series race at Talladega Superspeedway. Patrick, who is competing full-time as a Sunoco Rookie-of-the-Year candidate in the NASCAR Sprint Cup Series (NSCS) in 2013, will return behind the wheel for her second start of the season in the No. 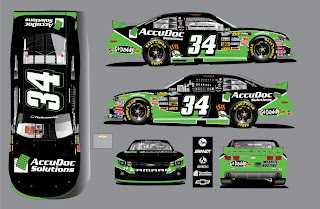 34 AccuDoc Solutions/GoDaddy.com Chevrolet Camaro. Patrick will once again have the veteran crew chief Mike Greci atop the pit box to call the shot in this weekend's Aaron's 312 at Talladega Superspeedway. Greci previously served as crew chief for Patrick at the season opener NNS race in Daytona. The former IndyCar driver has only one previous start at Talladega, leading one lap and finishing 13th in last year's NNS race. Patrick finished 36th at Daytona International Speedway, after experiencing an engine issue in her only previous start for Turner Scott Motorsports. Despite her bad luck in the NNS race, Patrick had success at Daytona, earning the pole and finishing eighth in the NSCS Daytona 500. Patrick, the first woman in history to win an IndyCar race, has raced in a total of 59 NNS events, tallying one top-five and seven top-10 finishes. Patrick completed one full-time NNS season, finishing 10th in the 2012 driver point standings. The Roscoe, Ill. native also earned the NNS Most Popular Driver award following her full-time NNS campaign. Long time Turner Scott Motorsports partner AccuDoc Solutions will serve as Patrick's primary sponsor and will also be joined by Patrick's long time sponsor Go Daddy as associate sponsor on the No. 34 Nationwide entry. AccuDoc Solutions, based in Morrisville, N.C., provides billing statement printing and processing to hospitals and hospital-based physicians, while Go Daddy is the Web's top platform for small businesses. "I'm thrilled that I get another chance to drive the No. 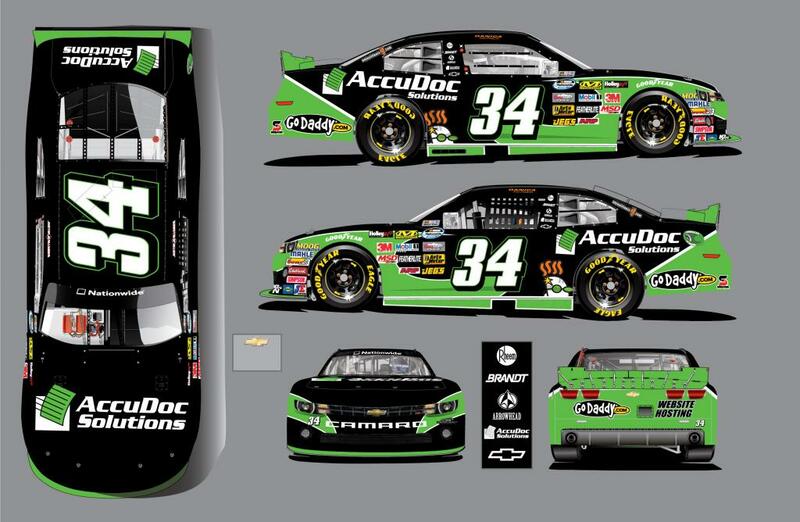 34 AccuDoc Solutions/GoDaddy.com Chevrolet Camaro for Turner Scott Motorsports," said Patrick. "We had a great run going in Daytona, and I'm hoping we can pick up where we left off. I want to thank everyone at TSM, AccuDoc Solutions and GoDaddy for making this great opportunity come together." Patrick will have three teammates on Saturday, with full-time TSM drivers Justin Allgaier, Kyle Larson and Nelson Piquet Jr. competing in the 117-lap restrictor plate race. "We are very happy to welcome back Danica Patrick to the Turner Scott Motorsports Nationwide lineup this weekend in Talladega," said team co-owner Harry Scott Jr. "We were extremely pleased with Danica's efforts in Daytona and felt like we had all of the pieces in place to be successful. TSM has assembled a great crew for her this weekend and I feel like we have a great deal of potential; there's a very good chance of Danica bringing home Turner Scott Motorsports' first Nationwide win of the season." The Henrico County (VA) Sheriff’s Office continues to investigate an incident at Richmond International Raceway Friday night that resulted in two Richard Childress Racing crewmen being arrested and charged with misdemeanor assault. A scuffle occurred on pit road after RCR driver Brian Scott tangled with Nelson Piquet, Jr. on the final lap of the ToyotaCare 250 NASCAR Nationwide Series race. Their cars made contact again on the cool-down lap, and words were exchanged on pit road following the race. Piquet appeared to kick Scott during a shoving match involving members of both teams, before NASCAR officials were able to restore order. Sources familiar with the investigation say two members of Scott’s team, Michael Searce and Thomas Costello, waited for Piquet outside the track’s access tunnel and confronted him again after the race, with a number of punches thrown. Piquet was able to escape the attack, but an unidentified Brazilian photographer assigned to cover the Turner Scott Motorsports driver was reportedly knocked to the ground and kicked repeatedly, causing injuries that required him to be hospitalized until Sunday morning. Police were called to the scene, and Searce was charged with two counts of misdemeanor assault. Costello was booked on a single count of misdemeanor assault. Both men were released early Saturday morning. In the aftermath of the Boston Marathon bombings, NASCAR teams have been warned by the sanctioning body to be on the lookout for errant backpacks and other packages in the garage area. NASCAR called a special, crew chiefs-only meeting Saturday morning at Richmond International Raceway, asking race teams to increase their level of vigilance this weekend at Talladega Superspeedway and beyond. The warning is not believed to be the result of any specific threat against NASCAR or Talladega Superspeedway, but part of a broader focus on safety at major sporting events across the country. “They asked us to keep our eyes open,” said one NASCAR crewman, on the condition of anonymity. “They want us to monitor our garage stalls more closely, to make sure there is nothing there that doesn’t belong. Three marathon spectators were killed in the terrorist attack; eight-year old Martin Richard; Krystle Campbell, 29 and Lingzi Lu, 23. MIT police officer Sean Collier, 26, also lost his life, allegedly after being shot by the bombing suspects while sitting in his patrol vehicle. More than 260 others were injured, many of whom remain hospitalized at this time. Jerick Johnson and the No. 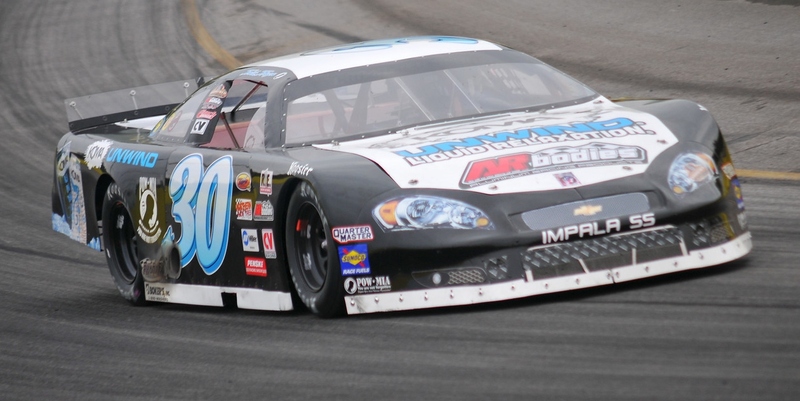 30 KOMA Unwind Chevrolet Super Late Model claimed a hard-fought 10th-place finish Saturday night in the Southern Super Series “Racing Radios 125 Presented by Schoenfeld Headers” at Gresham Motorsports Park in Jefferson, Georgia. The finish marked the team’s first Top-10 finish of the season, in only their second start. The team was fifth fastest in practice before encountering an electrical issue that forced them to miss final practice while replacing a burnt wire. Johnson qualified 19th for the 125-lap main event and passed a pair of cars immediately at the drop of the green flag, despite battling a handling issue. Johnson pitted under caution on Lap 20 for a chassis adjustment, restarting at the tail of the 31-car field. By lap 40, he was back to 19th place, racing in heavy traffic with 2012 Pro All Stars Series champion Kyle Grissom, Clay Alexander, Spencer Davis and Ross Kenseth, son of former NASCAR Sprint Cup Series champion and Daytona 500 winner Matt Kenseth. They ran in freight-train formation through the field, and Johnson was scored 15th when the yellow flag flew for the scheduled halfway break on Lap 75. “We threw a big adjustment at it during the break, and after the restart, we were as quick as the leaders,” said Johnson. “We passed a bunch of cars and caught the lead pack from about a half-straightaway behind, but simply ran out of laps. With a late caution, I think we would have been a sixth or seventh-place car, maybe better. Up next for the KOMA Unwind Chevrolet team is a 150-lap Pro All Stars Series event on Saturday night, May 11 at South Boston Speedway in South Boston, Virginia. Just call him the King of Come-From-Behind. Kevin Harvick lived up to his reputation as NASCAR’s premiere closer Saturday night at Richmond International Raceway, blazing from seventh place to the lead in the final two laps to win the Toyota Owners 400. With four laps remaining, the Richard Childress Racing driver appeared to be a beaten man, trailing Juan Pablo Montoya by three car lengths and showing no signs of being able to pull off a late pass. Then Brian Vickers slammed the Turn Three wall to bring out the caution flag, setting up a green-white-checkered flag finish and allowing Harvick to author his latest – and likely most dramatic – comeback win. Harvick, Montoya and most of the frontrunners pitted for fresh rubber, while upset-minded RCR teammate Jeff Burton remained on-track, along with Jamie McMurray and AJ Allmendinger. The ensuing restart was a veritable maelstrom of tire smoke and wrinkled sheet metal, and when the front six jammed-up behind Burton’s slower Chevy, Harvick blasted through a miraculously clear low lane to claim the lead before hitting the back straightaway. 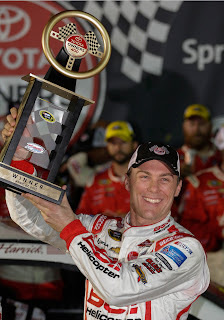 His 20th career Sprint Cup Series victory – and third at Richmond -- came on a night when Harvick led just three laps; the ones that counted. It also pushed him from 11th to ninth in championship points, 72 behind leader Jimmie Johnson, who finished 12th. Clint Bowyer led 113 laps on the night en route to second place, and said the decision to pit for tires under the final caution rested solely with crew chief Brian Pattie. "I had not made a decision," said Bowyer afterward. "Luckily for me, Pattie had made that decision; which is what he gets paid for. And it was the right one. I really feel bad for (Montoya)," he added. "He's had a couple of rough years in the sport and that was his race. He had it won." Joey Logano finished third, followed by Montoya and Burton. Carl Edwards, Matt Kenseth, Aric Almirola, Kurt Busch and Dale Earnhardt, Jr., completed the Top-10 in a race that included on-track fireworks after the checkered flag. Kurt Busch bumped Matt Kenseth’s Toyota on the cool-down lap to express displeasure with final-lap contact between the two, while Tony Stewart did the same to Busch. The two former series champions also exchanged words after the race. Two members of the No. 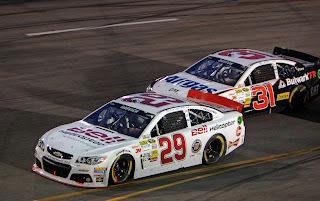 2 Richard Childress Racing NASCAR Nationwide Series team were arrested and charged with misdemeanor assault in the aftermath of a pair of skirmishes following last night’s ToyotaCare 250 at Richmond International Raceway. RCR driver Brian Scott collided with Nelson Piquet, Jr. on the final lap of the race, and the pair tangled again on the cool-down lap. 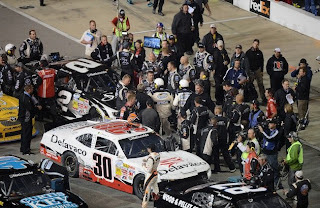 Words were exchanged on pit road following the race, and Piquet appeared to kick Scott during a shoving match that eventually involved multiple members of both teams. Sources say the teams exchanged words again while exiting the track shortly afterward, with an altercation taking place near the track’s driver/owner motorhome lot. Piquet was reportedly presented at the start of the incident, but left the scene quickly. RCR crewman Michael Searce was charged with two counts of misdemeanor assault by Henrico County (VA) police, with fellow crewmember Thomas Costello booked on a single count of misdemeanor assault. Both men were released early Saturday morning. Kenseth Calls Penalties "Grossly Unfair"
TRD's White: ""We Take Full Responsibility"
Watch SiriusXM Speedway on SPEED Tomorrow! A Victory Lane Photo For The Ages! Toyota Joins MTJ's "Catwalk For A Cause"
Burton Says Logano A Victim Of "Piling On"
Logano: "You Have To Stand Up For Yourself"